Because homeowners are accustomed to seeing the floors in their homes day after day, they often don’t realize how dirty their floors become. 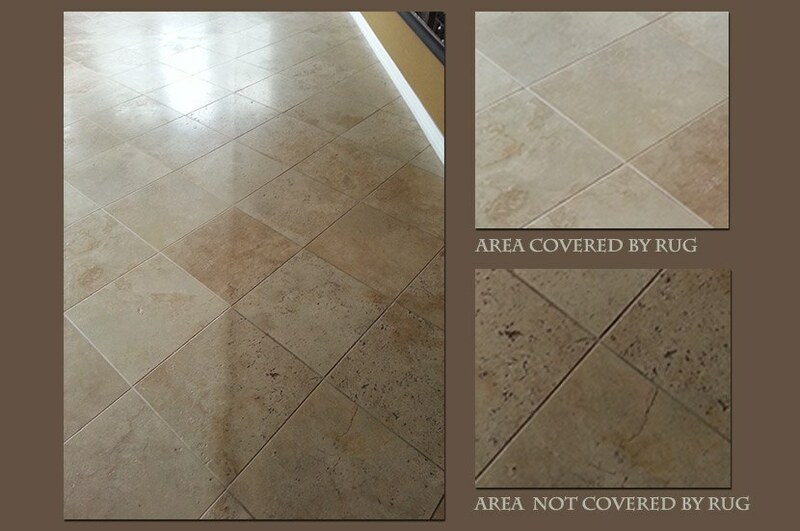 That’s what happened when this Del Mar homeowner called us to have her floors serviced. She knew that natural stone floors ought to be professionally maintained and restored, but it wasn’t until we cleared the furniture from the room and lifted the rug that she was able to see how dirty her floors had actually become. It was a shocking discovery for her, because she swept and mopped the floor regularly. For us, it wasn’t so shocking. We always produce dramatic before-and-after results with our natural stone honing and polishing restoration processes. Sometimes it isn’t until customers see the “after” that they realize how bad the “before” really is. First, we honed the high-traffic areas, and then we used our state-of-the-art floor machine to run a 3m diamond pad across the floor. This gave the natural stone a uniform look and a beautiful, soft sheen. The finishing touch was to apply a natural stone sealer to protect the floor from staining. The end result was that the entire floor looked better than the area that had been covered by the rug. Now, if this homeowner decides to rearrange the decor, there won’t be an unsightly rug line. Perhaps it has been a while since you peeked under the rug to see how dirty your floor might be. If you want to maintain a clean, healthy, welcoming environment in your home, regular cleaning can only accomplish so much. Professional stone restoration services are essential. Watch this short video to learn more about professional marble restoration services or this video to learn more about natural stone restoration for commercial properties. 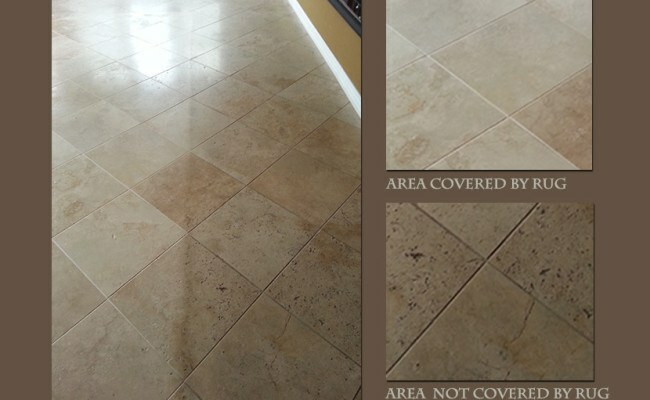 We provide natural stone restoration services throughout the San Diego area. Contact us online or call 619-246-0240 today.